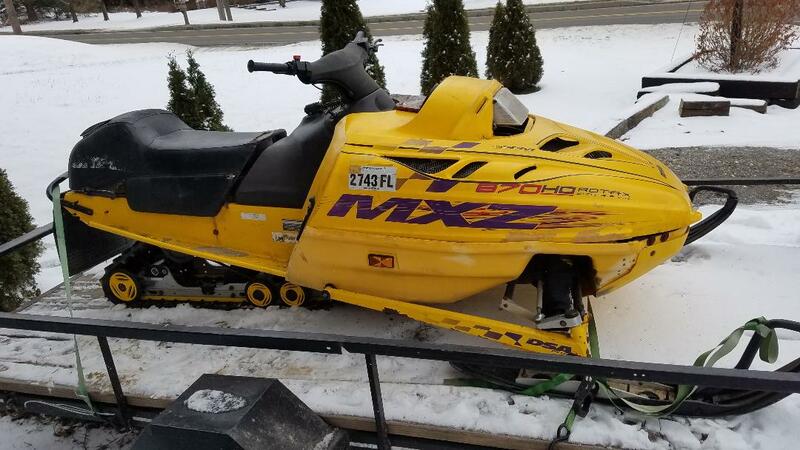 Hey guys I just bought this sled off a guy that bought it for his wife new back in 97. You know how the story goes, he bought it, she got scared and he parked it for 10+ years in a barn. Anyway, I cleaned the carbs twice, put new fuel, plugs, oil, fuel lines in it. I can get it to fire but for only for a few secs, 30 sec max. I have rebuilt older sleds in the past but this is a real head scratcher. Any ideas? Let's start with the fact that that is a 1999 670ho, not a 96. Sorry. Yes, you are right. Just important to know. That HO motor is a whole different animal. Your problem definitely sounds fuel related. I'd go through the carbs again, making sure to blow air through all passages. A small wire (I use torch tip cleaners) helps make sure the pilot jets are clear. Yes, that is what I thought. I will try cleaning again, maybe third time is a charm. Also, make sure your primer is working correctly. They will dry up if they sit for awhile. Some mix oil or even WD-40 will sometimes get them working again. I would also check the pick up line IN the tank and the screen in the tank. Have seen many times where the line cracks inside the tank. Thanks guys, I went through everything you suggested. Got it running last night. Engine ran great, jumped on to do a test run, no go. Clutch was bad. After some struggle with the plastics got the clutch out. The clutch was shot but luckily I had a clutch from a 700 in the back. Popped it in and man what a sled. I have heard good things about the MXZ 670 HO, but I am impressed. I still have some small things I want to do, seat recover, wrap it, etc. but a great sled and now a fun project. Thanks for the help! They are quite the sled. Glad to hear you got it up and running.